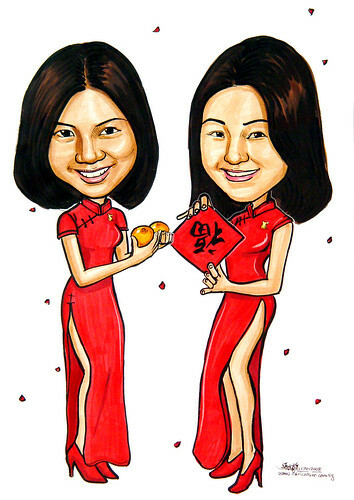 The company intends to use this caricature artwork to be printed on the red packets (Ang Bao) against a golden background. These 2 girls were from the company. 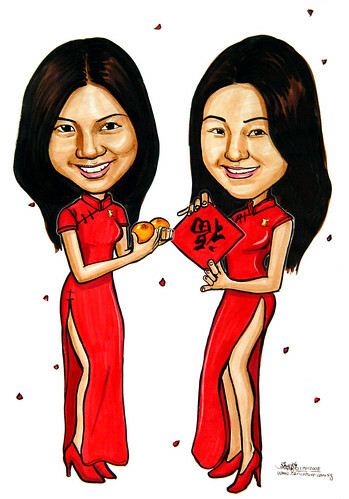 The red packets will be given out to the company's clients before the Lunar Chinese New Year. They wanted long hair for both of them. The photos given by them, were snapped against a dark background. Thus can't see the long hair. I added in on the spot, upon their collection.